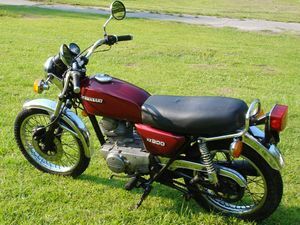 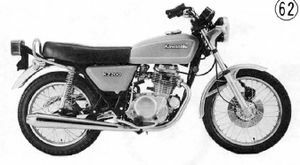 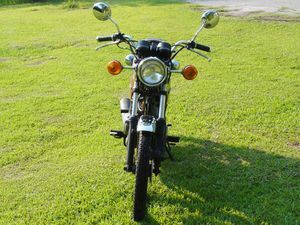 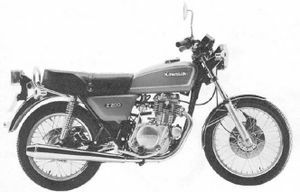 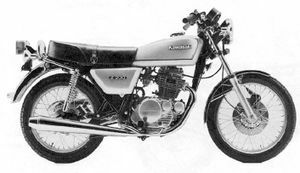 Remarks: Four-stroke, single-cylinder commuter, with mechanical front disc brake, safety side stand, and electric starter. 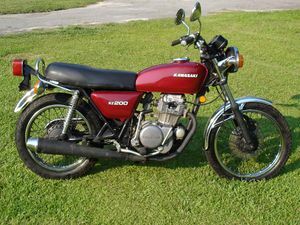 Steering lock is combined with ignition switch. 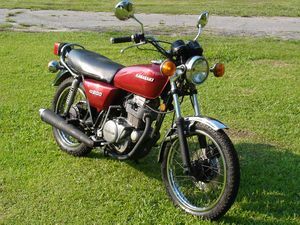 Remarks: Four-stroke, 1 Cylinder Commuter. 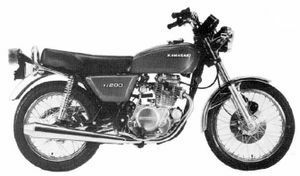 Mechanical front disc 'brake, safety side stand, electric starter, steering lock combined with ignition switch. 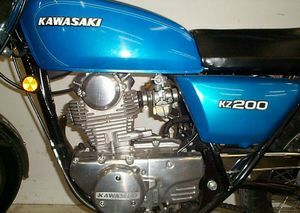 Major Changes: Automatic chain tensioner, carburetor, fork emblem. 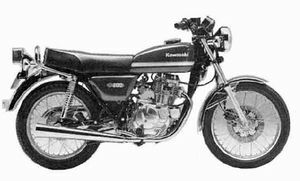 Major Changes: Transistorized ignition, color & graphic, rear shock absorbers. 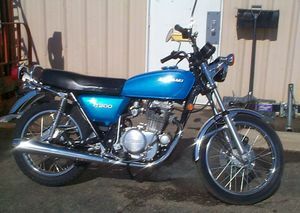 Remarks: Commuter bike. 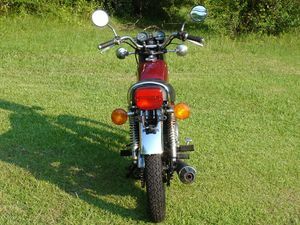 Mechanical front disc brake, rear drum brake, steering lock combined with ignition switch. 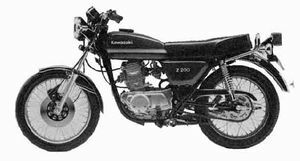 Changes: Hydraulic front disc brake, Camshaft, balancer mechanism.